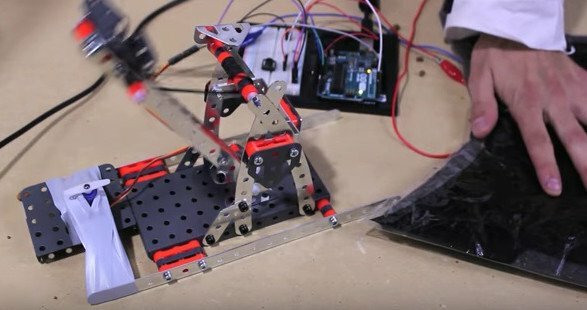 Learn the basics of servo motors and analog inputs to make this DIY catapult and various other projects. How Does the Arduino Catapult Work? Before we get started with our arduino servo catapult, when using a motor, always use an external source to power your Arduino, do not draw power from a USB connection! 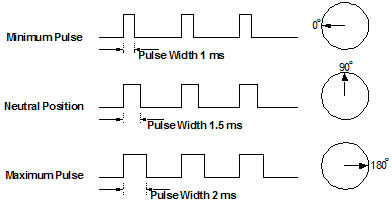 Our Cat-a-pult uses an Arduino Uno with servo control and its analog input to read the FSR value which controls the servo. We initialized our serial monitor so that we can read our FSR's values and adjust our kitty-threshold accordingly. Once we're satisfied with our threshold value, we can turn the servo to lock the CAT-apult by pressing our pushbutton. When the cat puts its weight on the FSR, the servo moves back to the neutral position and launches cat food into the feline's face. Once you have made the connections and implemented the code, strategically place your arduino servo catapult so your cat doesn’t see what’s coming! Now you can sit back and enjoy your new knowledge, angry cat, and messy floor. Incoming! This is Olive's favorite part. If you would like to see more, you can find more MIT-i innovations on YouTube. Have any ideas for cool projects with Arduinos and servo motors? Let us know in the comments!